Is there a little conductor in your life that loves the choo, choo sound of a train? Every time he or she hears the whistle blow, do they yell the words, All Aboard!? 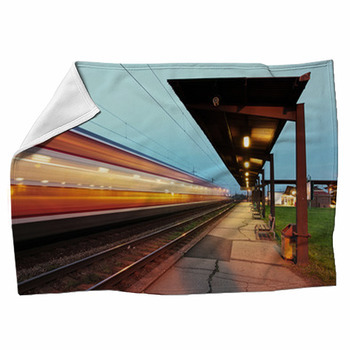 At VisionBedding, the real life look and sound of a train can become a part of everyday life with a custom train blanket. These train blankets are no normal blankets. 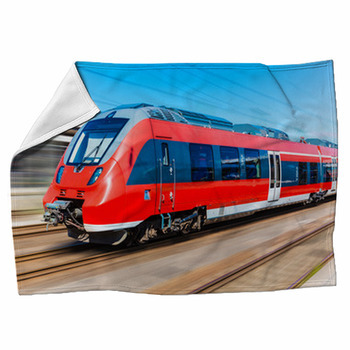 Created with crystal clear photo quality, unlimited personalization and a hand to help along the way - there is no reason not to create your personalized train themed blanket today! 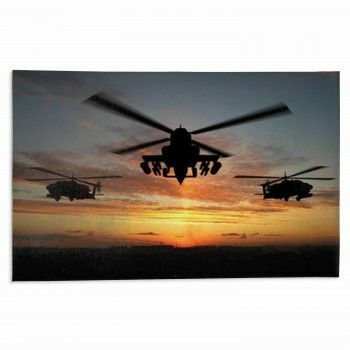 Train blankets are more than just an accessory to complete the look of a room, they add a bit of flair and excitement to a space. In all honesty, these train blankets do not have to be used by children alone. Any train lover can seek out the biggest, best and most rare train on earth and have that image transferred to a blanket. Love more than one type of train? 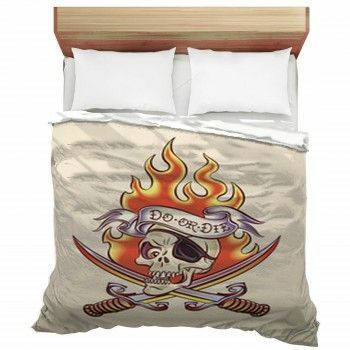 That's okay too because VisionBedding can accommodate customization free of charge on your blanket. 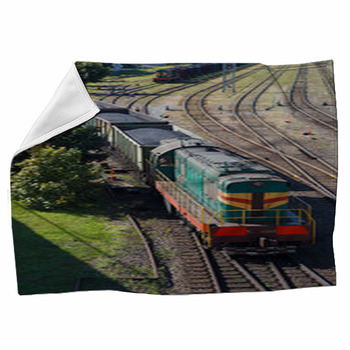 The locomotive, steam engine and caboose are available for the children who love train blankets. For the older train lovers, the N Scale, HO Scale and G Scale trains are available as well. 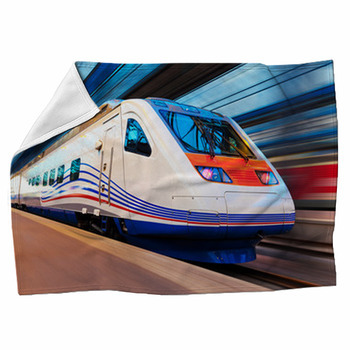 There are no limitations to the photos you can choose to create your personalized train blankets with matching pillow cases when you are the designer at VisionBedding.